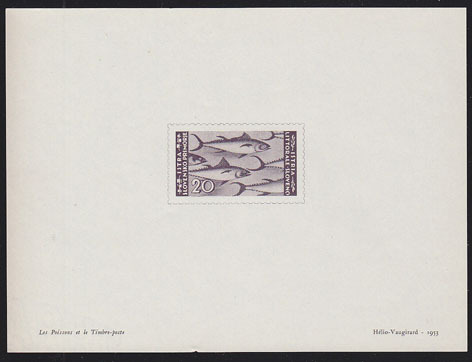 16112 EP ISTRIA AND SLOVENE COAST (1945) Tuna*. Presentation proof printed by Helio-Vaugirard in 1951 on thin paper, similar to French community deluxe proofs. Scott No 34. Similar proofs have sold at auction for over $200!